I am pleased to update the website with our latest issue. The Fall 2017 issue features the excellent work of two photographers, five short poems, and a short reflective piece. With this issue, we set out to establish a new standard for the quality and maturity of the magazine and I think that we took a giant first step in accomplishing this. I would like to thank Hannah Link, our Fall Quaestor, Ryan Render, Moderator of the Philolexian Society this past fall, and the Editorial Committee for making this a possibility and helping me pull everything together. I would also like to thank the Gatsby Grant and Columbia’s Arts Initiative for the financial support necessary for publication. 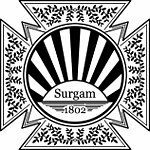 Here’s to an even better Spring issue and to the continued growth and artistic achievement in Surgam’s future. Read the issue here or contact me to request a physical copy. There’s still a few left! NextNow Accepting Submissions for the Spring 2018 Issue!